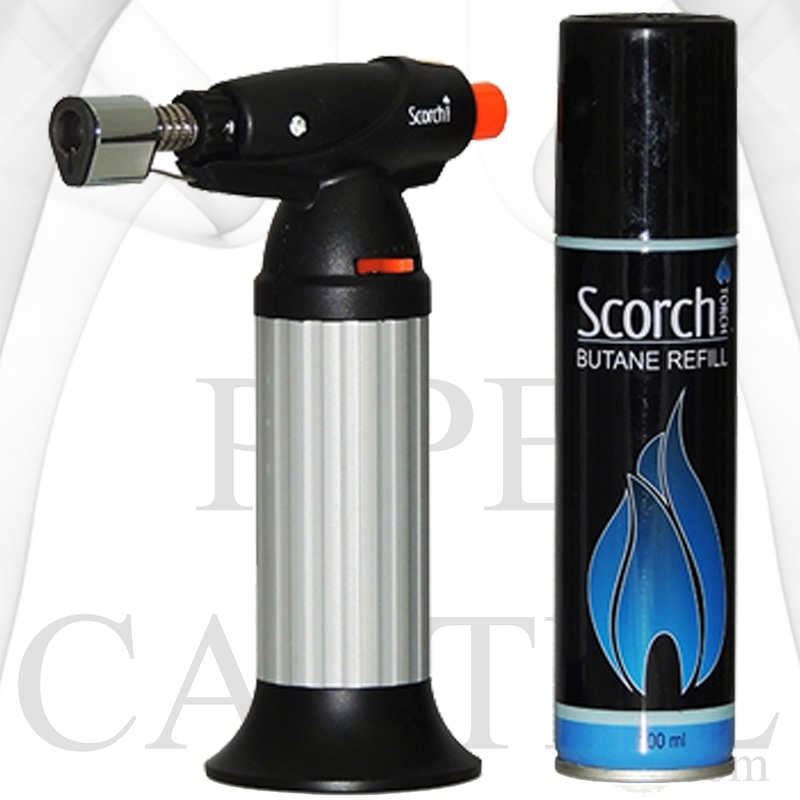 Get this powerful torch lighter by Scorch Torch. 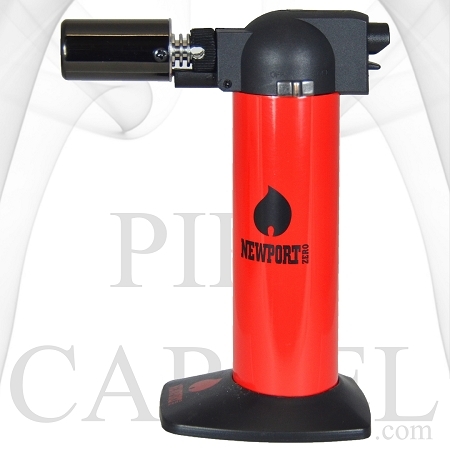 It is about 5.5 inches tall, big enough to carry plenty of butane, and just small enough to take it anywhere. 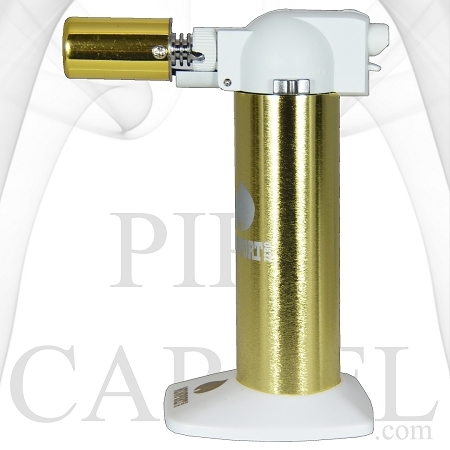 It is mostly silver colored with a shiny silver color near the top. 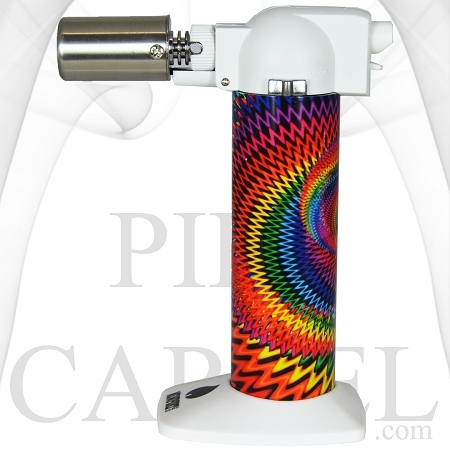 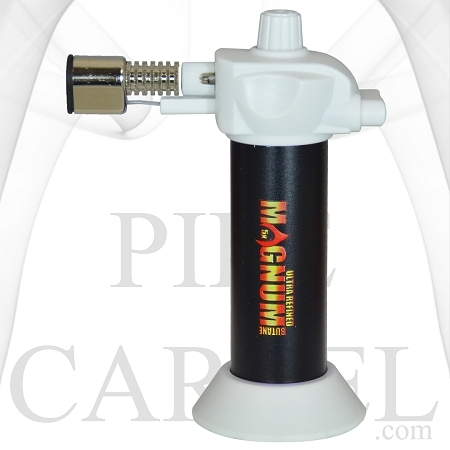 It is refillable and the flame is adjustable between soft flame and hard torch flame. 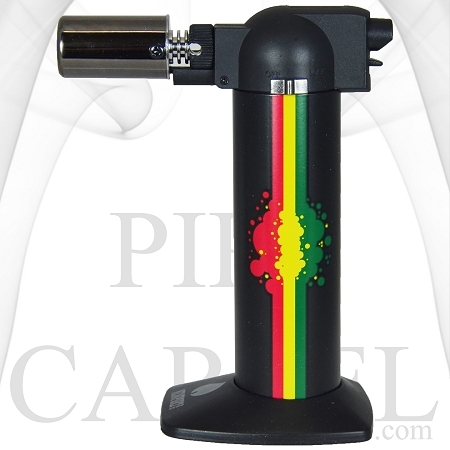 It comes available with a 100ml butane refill can.